Created following a life-changing trip to the Holy Isle of Iona on the Western Isles of Scotland. 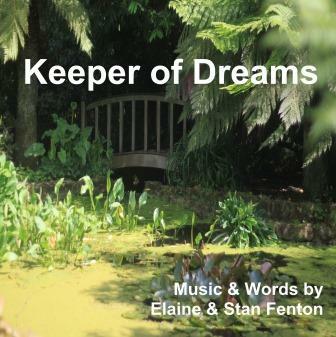 This CD comprises of some stunning instrumentals by Stan Fenton, as well as powerful and moving words and poetry by Elaine Fenton. Each track is a journey in itself, and each in turn holds a message which holds the power to touch the core of your soul and take you out to the furthest star in the universe. The track Keeper of Dreams was created following and angelic experience on the Holy Isle, one which shaped the path of service Elaine was to take for the rest of her life. The track is shared for you below.